fesuvious had the most liked content! 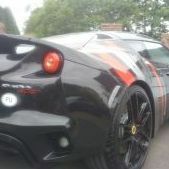 Evora 400 - Creaking drivers seat - how many waiting for fix ?? Mine has been fixed, and has had few other bits done. HVAC panel, seal, couple other bits. Fair response! Was a little daft of me. I wondered if you might respond along the lines of 'looking for a rough one, up to £20k' or maybe 'I'd like as close to perfect as possible, up to £40k for the right car'. I don't really want to part with mine, curiosity kinda got the better of me. What sort of money are you offering? Jay, You hear good things about Silverstone because they're lovely people at heart. They are though employees of 'Silverstone' and not specific employees of a Lotus Dealership. It does make a difference. No disrespect as such but nobody could understand even why I wanted an oil change after 750miles of incorrect firing/fuelling. Now THAT is poor. we make the same point. The '400' is a car at this price point. Totally. From here though the devaluation begins with utterly woeful dealer service (Silverstone in my case). Utterly awful service for me using 'Lotus Assistance' (name is a joke, it's just AA) Poor fit and finish. Creaking seats Numerous other issues. As a result, it's a £50k package at best. If anyone wants to copy and paste my posts here onto PH that's fine by me as my user id is the same, so it would make sense as 'fesuvious said'. Indeed. The aftersales service is woeful. There has been no proper answer to the exhaust noise level. Only 'it has type approval'. I had to fight to get plugs & oil changed after 750 miles of misfire. The ownership experience; To drive, fantastic. Build quality, iffy. Dealer : just shite to be quite honest. Aftersales backup, almost non existent. In short, buy something else. I'm a Lotus nut for the drive. This though, £70k, ? No. Forget it. The whole ownership experience begins with a price of @£50k, or at least it should. Lotus, you absolutely do no have a £70k package here. Shame, cos the fundementals of the car are truly rocking! Another creaking seat here. I echo certain comments. 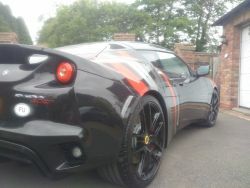 I thought the Evora 400 was worth a punt. I figured they've had years to develop the product and sort niggles. I even had the extra insurance of buying the 1800 miles dealer demo. I figured and initial issues must be sorted. I then suffered a car running like a bag for weeks and 750 miles. Despite repeatedly telling Silverstone they ignored me. I also had a crap fitting window seal. Silverstone needed numerous attempts to fix her. On one occasion returned the car dirtier than when they had it. The window seal came back exactly the same despite me sending photos. Now the seat creaks. Oh, and 'Lotus Assistance' failed to turn up, and then turned up late. No courtesy car sorted. Again Silverstone washed their hands. I could expand, and can elaborate further. Might do too as my 18month has just woke up. It rides and handles like 70k. Build, support, dealer service is woeful. NOT 70k worth. I wish I'd bought an M2 or a Porsche. Quite However, not only was I assured the exhaust was absolutely a-ok for trackdays, but this is, in sentiment at the very least, backed up by the traction options. If the dealer tells you the exhaust is a-ok to go on track, and the car, made in England, comes with a traction control setting designed solely for track use..... You'd kinda expect it to be able to go straight to Donington. It seems not, or at least not unless you want to gamble with a day off work, the trackday cost and the fuel etc. Every time you go to a trackday. I am seriously unimpressed. I asked on the test drive if the exhaust was 'legal' for track use. I was assured it was. It formed a key reason why I bought it. Right now not chuffed. Considering options. Marmite. Purists look away. different style. I bought S75 LCF back in 2001. Would love first dibs if she was ever for sale. If you zoom in the '11' looks shopped. Sparky, is that S75 LCF in your avatar? Thanks, and for the request of a 'higher angle'; Taken this morn in the rain, at work. So, today I followed through with my original plan. I hadn't told anyone. People on here had discussed paint options, stripes and all sorts (me included). So, I decided to do something that I think hasn't been done on an Evora yet. Plenty will hate, plenty will like, some might love, I'm not looking for approval just thought I'd share it.